You may not know but I have co-hosted a radio show in Houston on a secular station for the past 12 years. It is called “A Show of Faith” and it airs weekly Sunday evenings 7.00 to 9.00 pm (Central) on AM 1070 KNTH The Answer. It is part of the Salem Network. I co-host along with a priest and a rabbi. I know . . . I know . . . it sounds like a joke: “A priest, a minister, and a rabbi walked into a radio station . . . ” But it’s no joke. We’ve been on the air longer than most radio shows. The mission of the show is to talk about events in the news from the perspectives of Protestants, Catholics, and Jews. We also have guests representing other faiths: Islam, Buddhism, atheism, Hinduism, etc. A secondary mission is to show that it is possible to be friends across faiths. Recently, a new friend Matt Walker did a video for us. Below is a link to the YouTube version. It gives you a sense of what the show is about. Are Print Books a Thing of the Past . . . Like Scrolls? 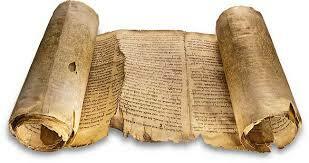 Before the birth of the Christian movement, scrolls were the book-form used by most if not all people. 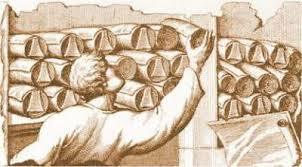 Scrolls, also known as rolls, were pages sewn or glued together end-to-end to create a long roll, sometimes up to 35 feet long. The Dead Sea Scrolls are probably the best known and most significant collection of ancient scrolls, but rolls continued in use for 500 years after the birth of Jesus, mostly among non-Christian groups. The codex form of the book was invented in the first century about the time Paul was crossing Asia Minor and planting churches in Macedonia and Achaia (modern Greece). The codex form is the kind of book we use today with individual pages stacked and sewn together along the same edge. We don’t know exactly who invented the codex, but we do know Christians popularized it and used it for most of their books for the first five hundred years. With a couple of exceptions the Greek manuscripts we have of the New Testament from the earliest centuries are written on codex. Scholars have proposed a number of reasons why Christians adopted the codex book-form. First, codices (the plural of codex) are easier to use than scrolls. If you want to see something at the end of a scroll, you have to unroll it first. With a codex, you can simply open up the stack to find the right place. Second, scrolls were written only on the inside which wastes half the space. A codex is written on the front and back of each leaf. This makes better use of the pages. Remember, paper wasn’t available to them so they wrote on papyrus, sheets made of a plant material, or on parchment, sheets made of a well prepared animal skin (the soft underbelly of a goat, cow, or ibex). Both were expensive writing materials. There is good evidence that the earliest Christians were poor so they wanted to use every square inch of the writing materials they could get their hands on. 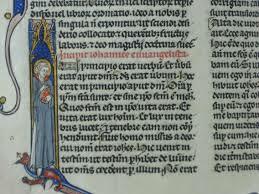 Third, the codex form may help distinguish Christian books from Jewish books. The Christian movement was started by Jews for Jews (Jesus was a Jew and all his disciples were too!). But when more and more outsiders (non-Jews) entered the Church, tensions grew and eventually there was a parting of the ways. Judaism became one religion, Christianity another. At first, there was no real need to distinguish these communities, but as time went on both Jews and Christians wanted to find ways to distinguish themselves from each other. The scroll and codex form may have been part of that. 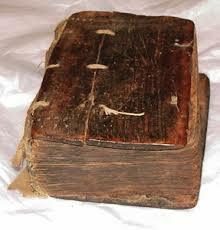 For the first 1500 years of Christian history all books were hand-copied. With the invention of the printing press (around 1450) books could be produced mechanically. That presented a huge shift in culture. Hand-copied books took a long time to create, were very expensive, and had variations in them. A machine-produced book could be printed quicker, were less costly, and had fewer variations. In the last decade of the 20th century another huge shift took place as digital technology became less expensive and more available. Today you probably read on computers, a Kindle, a smart phone, or a tablet. These digital technologies have made books even cheaper, easier to carry around with you, and more available. When we started work on The Voice Bible project we were all well aware we’d create print copies and digital versions. I read The Voice in paper sometimes. My students read it on their smart phones in class. I often research and write on the computer using www.biblegateway.com, which has The Voice translation (as well as many others). Exactly where this is all headed it is hard to say. Some have predicted the end of print books (that is, the codex form). Others aren’t so sure. In two earlier posts I discussed where the chapters and verses come from in our Bibles and why in some cases The Voice translation deviates from standard practice. In today’s post I want to show you an example of how chapter divisions actually can cause us to miss key moments in the Bible. It is not uncommon for people to read their Bibles chapter by chapter, as if the chapters are always the correct way to divide the text. So today’s reading may be Ephesians 1-3 and tomorrow’s Ephesians 4-6. Now if this is your reading, that’s not a bad division. Clearly, if you read carefully through Paul’s letter you see that chs. 1-3 stand together as a unit and chs. 4-6 do the same. But what if your reading in Matthew’s Gospel and you come to the end of ch. 16; you should not stop reading at the end of ch. 16 or you are going to miss something important. 28 I tell you this: some of you standing here, you will see the Son of Man come into His kingdom before you taste death. Unfortunately, if you quit reading at the end of ch. 16 you may think the Son of Man coming into his kingdom has to do with his second coming. It is as if Jesus is promising to come back in the lifetime of at least a few of his disciples. Some people have read it that way. A few have decided since Jesus didn’t return in the lifetime of those disciples then the promise of his return cannot be trusted. But that is to misread the text. Jesus isn’t talking here about his second coming. 17 Six days later, Jesus went up to the top of a high mountain with Peter, James, and John. 2 There, something spectacular happened: Jesus’ face began to glow and gleam and shine like the morning sun. His clothes gleamed too—bright white, like sunlight mirroring off a snowfall. 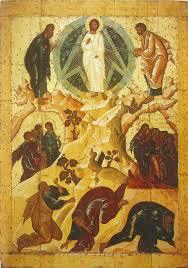 He was, in a word, transfigured. 3 Suddenly there at the top of the mountain were Moses and Elijah, those icons of the faith, beloved of God. And they talked to Jesus. The story continues with Peter overwhelmed by the experience and a heavenly voice addressing them in the same words Jesus heard at his baptism. The transfiguration of Jesus fulfills his earlier promise that some of his disciples would have the privilege of seeing Jesus, the Son of Man, in kingdom glory before they taste death. They got a preview of things to come. 29 Are all apostles? Are all prophets? Are all teachers? Are all workers of miracles? 30 Do all have gifts of healings? Do all speak with tongues? Do all interpret? 31 But earnestly desire the best[d] gifts. And yet I show you a more excellent way. The “more excellent way” is the way of “love” as the apostle described. Love then is not a spiritual gift at all. It is the atmosphere in which the gifts are to be practiced. Love in this context is not romantic love or feelings-oriented love. Love is action-oriented. To love is to will the best for another person regardless of the cost. It is not to like them or to have warm, fuzzy feelings toward them. It is to act in their best interest, again regardless of the cost. All the gifts must be practiced, according to Paul, in love or else preaching, prophecies, or other divine utterances are just noise. Now, if you excerpt the “Love chapter” from 1 Corinthians and read it at your wedding, you’ve not a blasphemer or in mortal danger. It is an amazingly beautiful, poetic ode to the nature and character of love. But not romantic love. It is the love that is to be on display in every church toward every believer. My point is that we read the Scripture best when we ignore the chapters and verses. Remember, they are not original. They were added in the middle ages to Bible reading easier. Ironically, in making it easier, they may have made it harder. Many of the chapter and verse breaks are useful but some seem to get in the way, break the flow of thought, and can cause us to misread the text. We will consider a couple of those in the next post. 14 So Joseph got up in the middle of the night; he bundled up Mary and Jesus, and they left for Egypt. 16 After a few months had passed, Herod realized he’d been tricked. The wise men were not coming back. Herod, of course, was furious. He simply ordered that all boys who lived in or near Bethlehem and were two years of age and younger be killed. He knew the baby King was this age because of what the wise men told him. When verses are out of sequence, we put a footnote in to tell why. It doesn’t happen often but it does happen a few times. More often, it means that we combine certain verses because the content of those verses go together in a way that does not disrupt the narrative flow. For example, Act 27:33 and 37 are combined into the same paragraph. 33, 37 We wait. Just before dawn, Paul again gathers everyone on the ship—all 276 of us. He urges everyone to eat and encourages us not to lose hope. Well, I can hear someone ask: why didn’t we retain the original chapters and verses? Because, they aren’t original. They were added in the 13th to the 16th centuries—more than 1000 years after the Scriptures were written–by well meaning scholars and publishers. Today most translation committees attempt to structure the biblical materials in paragraph form like other modern books. Paragraphs are sense units that set out a distinct section of a writing usually around a single theme or subject. We show paragraphs by indenting the first by 3 or 4 spaces. Visually that sets the paragraph apart. Some translations, like the New American Standard, format every verse into a paragraph. But since that practice makes it hard for readers to understand the sense units and since chapters and verses are artificial divisions, most modern translations have abandoned that kind of approach. In the end every translation is an interpretation. Every chapter number, every verse number, every paragraph is an interpretive decision made by someone when the translation is being prepared. Next time we’ll consider how chapters and verses can cause us to misread a text.